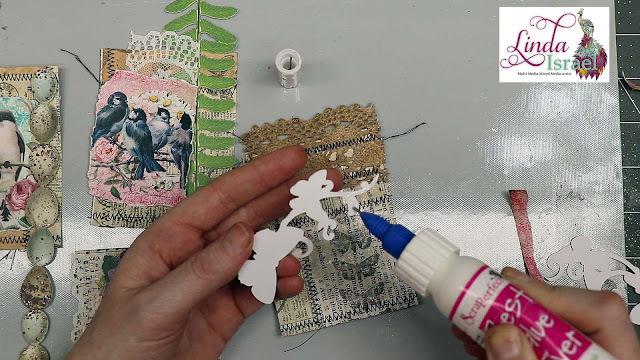 Amy Here with another video tutorial showing another "green" idea: transform an advertisement FLYER into an attractive, custom card! I also show you have to achieve crisp, perfectly printed custom custom "tags". 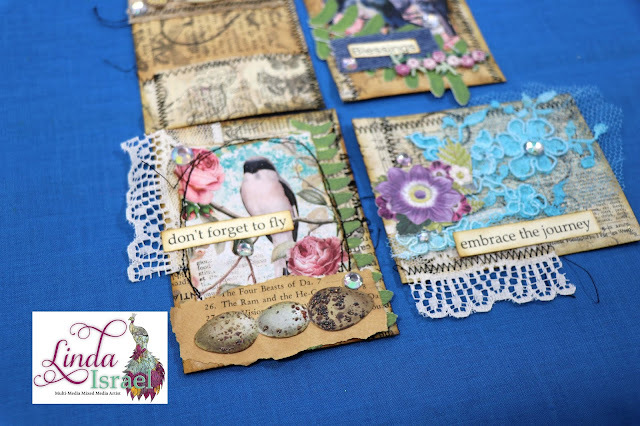 So, find inspiration from expensive marketing materials, junk mail, and other printed stuff and turn them into treasures. You'll be looking at this stuff with a whole new purpose. 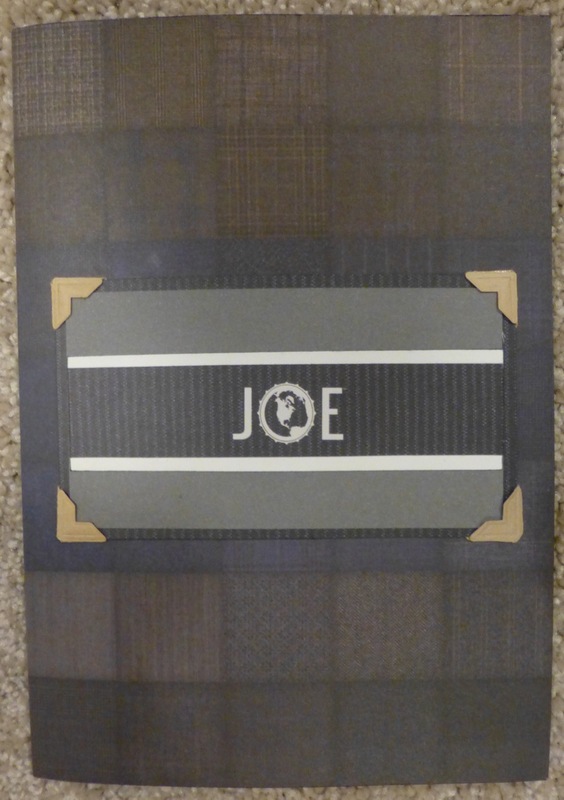 The inspiration and materials for this masculine card came courtesy of Men's Warehouse. 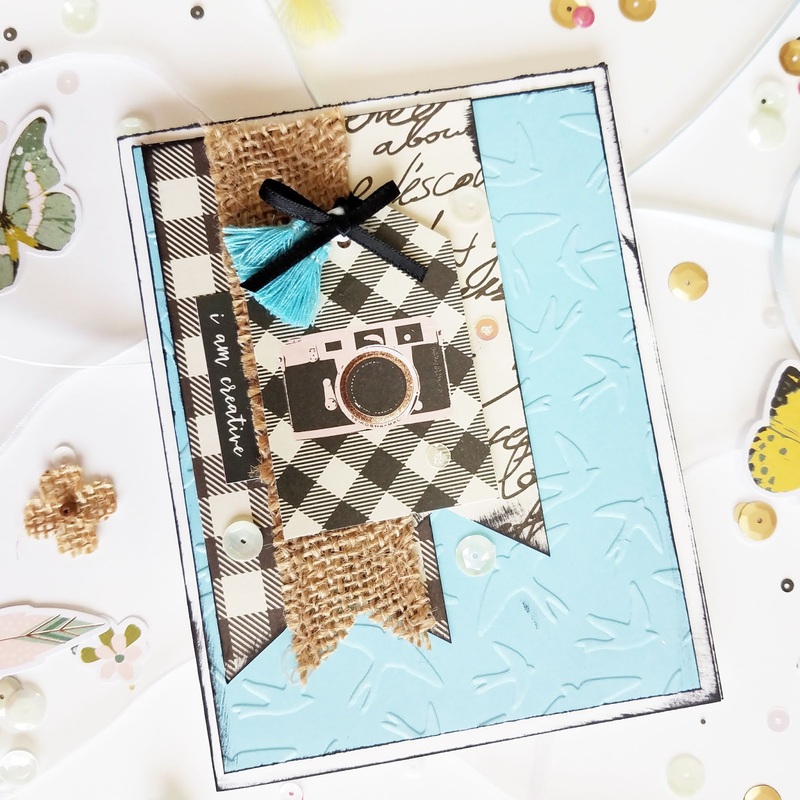 and let you have the fun being clever and crafty in your craft room! two products you shouldn't be without! Do you love stamping, have you ever heard of our Perfect Craft Pouch? Well here it is! 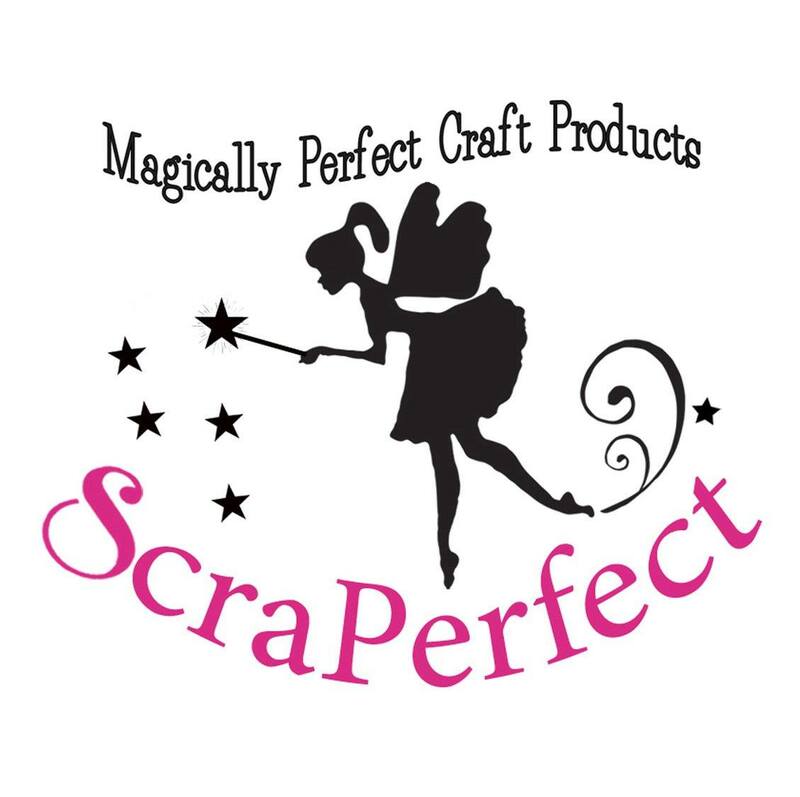 This makes your stamping, and printing so much sharper and clearer! Be sure to check out this Video to learn all about it!. 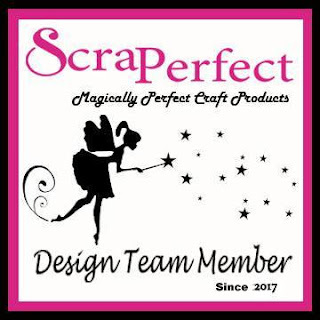 Stay tuned here for more great products! 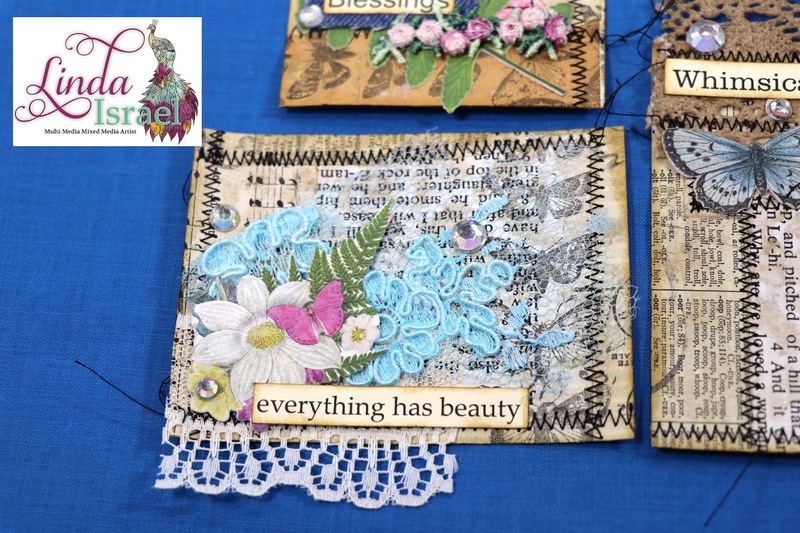 We'd love to hear how you used it on your crafting projects! 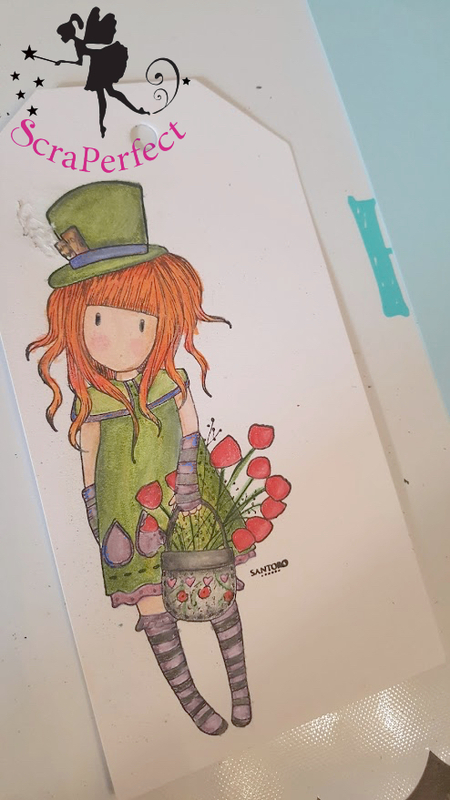 Till next time Happy Crafting. 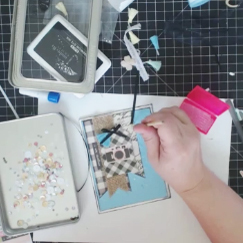 Amy here with a powerful, yet so simple technique perfect for making personalized embellishments, for the front or inside of cards when you don't have a stamp to say exactly what you want, and for easy, cool titles & journaling boxes on scrapbook layouts. Use your printer without wasting a whole sheet of paper. 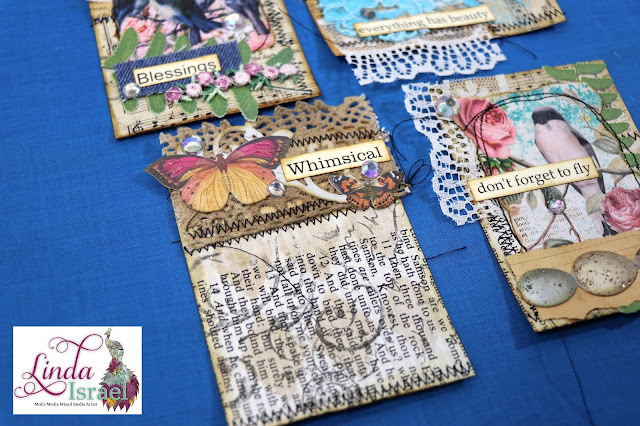 Print on scraps, within the borders of shapes (tags, flower die cuts, etc) or onto ribbon or washi tape. 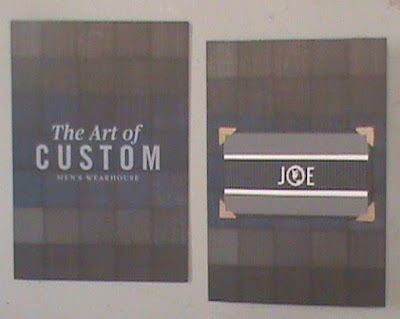 I use this simple "trick" on nearly every one of my card or layouts. 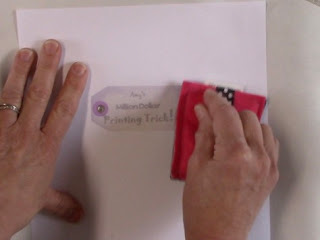 The MILLION DOLLAR TRICK name was coined while demonstrating the power of the Perfect Printing Pouch** at the 2004 Craft and Hobby Tradeshow and a storeowner remarked, "That Million Dollar Printing Trick is worth every penny I spent on this trip... and the Pouch is very cool, too!" 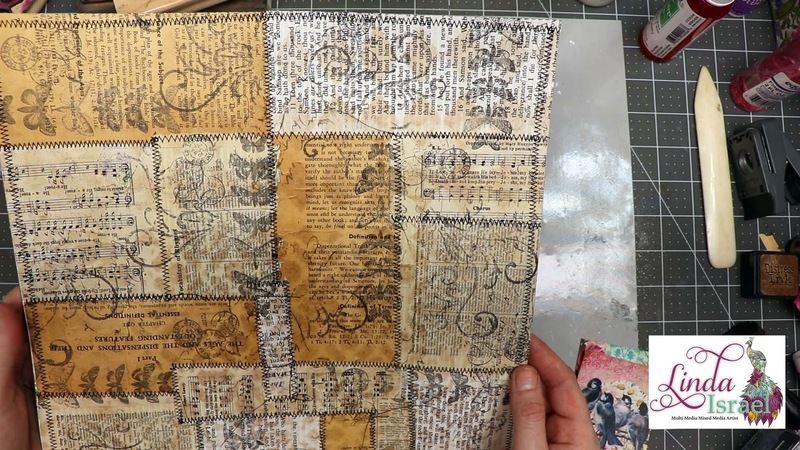 Learn to print smear-free and perfectly-centered onto a vellum tag! Learn how to start with your word processing software and end with a sweet embellishmentHere ya go! Please ask any questions you might have!!! 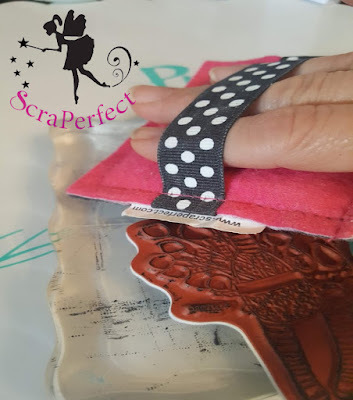 ** In 2010, the PERFECT PRINTING POUCH became the PERFECT CRAFTING POUCH after years of people using it for so many different craft techniques with polymer clay, stamping, fabric markers, and more... that PRINTING no longer did it justice. 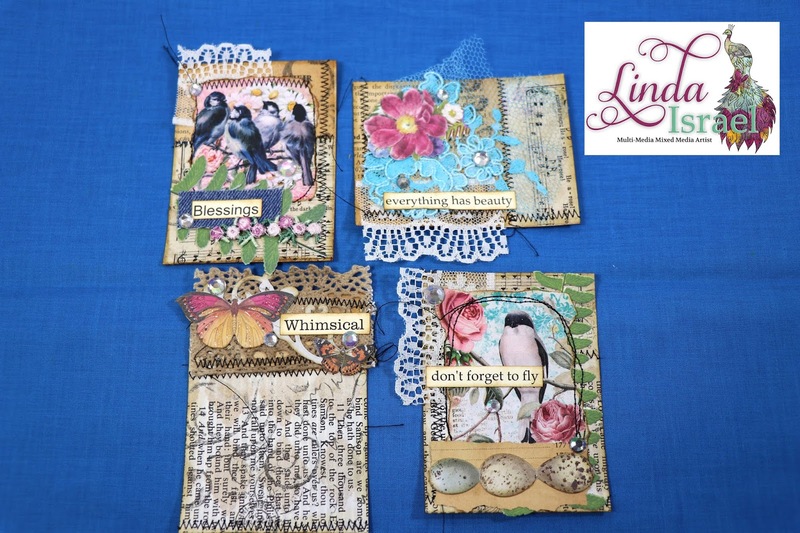 Lisa back today to share a cool layout using the Transfer Foils, The Best Glue Ever and the Perfect Crafting Pouch. These hearts have been sitting on my scrappy desk for quite awhile and I thought I should use them. I decided to have some fun with the transfer foils. I added some of The Best Glue Ever with the No Clog Writing Cap attached. I actually keep this cap on my glue all the time, it saves me from using too much glue. A little bit of The Best Glue Ever goes a long way! Check out the purple foil! Isn't it gorgeous?! 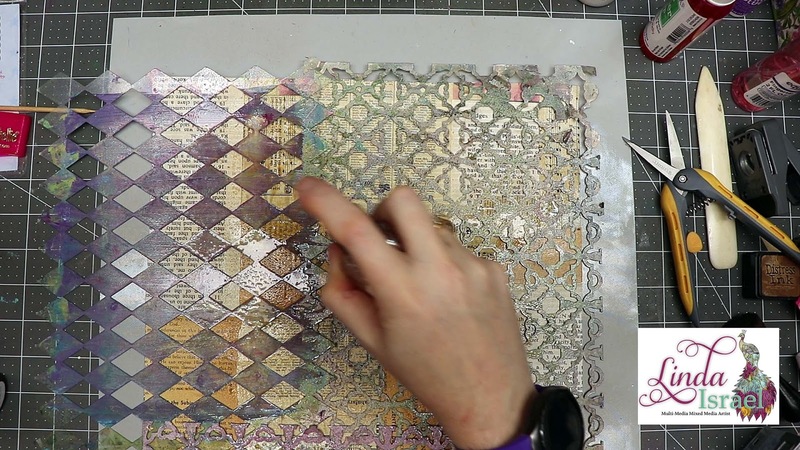 I hope you will give this fun technique a try! 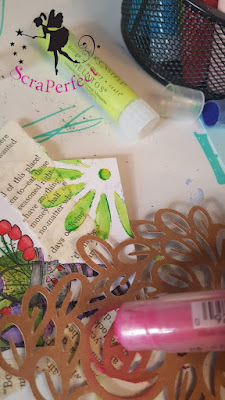 Good morning crafter's Penny here today to show you how to safely remove sticky glue residue. 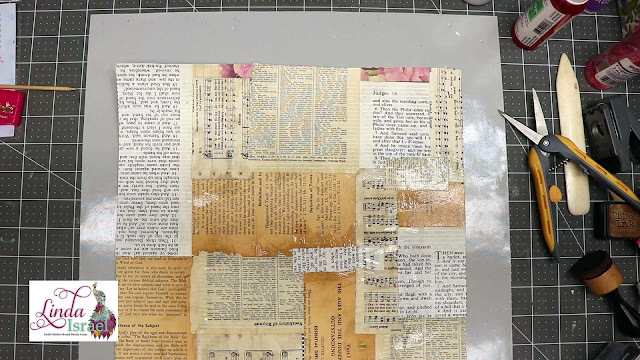 So this is how my paper looks now (top photo) but this is what it looked like BEFORE I sprayed it with the Best Cleaner Ever from ScraPerfect. It was a sticky mess, and totally unusable. So I spray just a small amount of the cleaner on the paper, and let it sit for a few minutes, and presto CLEAN usable paper! This cleaner works on fabric, paper, and just about any surface you can imagine. It so far has cleaned everything I have tried it on. It's safe for your hands, stamps, the environment, and is non-toxic! All the things I require in anything that comes into my home. Welcome to the ScraPerfect blog. 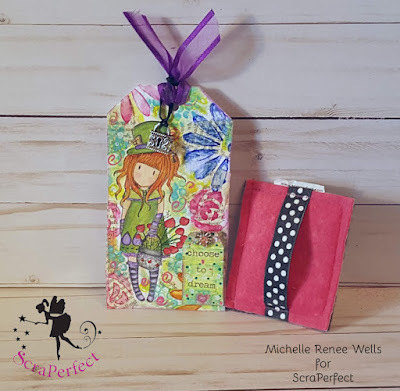 Michelle here today, sharing a quick an easy way to make a bright, fun, floral tag using ScraPerfect's Perfect Crafting Pouch. 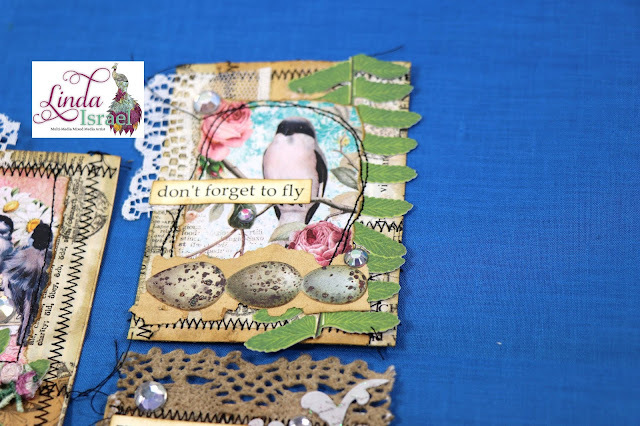 For this tag I used a 3x6 heavy stock tag. I decided to. stamp my image first, and then "build"
the rest of the design around the image. 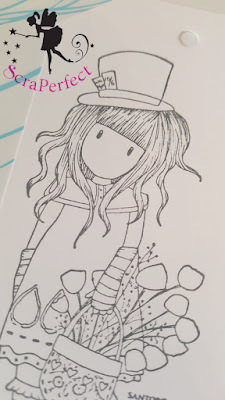 My stamp of choice, The Hatter from Santoro Gorjuss. I mean, how big of a dream did Alice have? So this was the perfect image for my tag. gave me that crisp lined image, with absolutely no bleeding. I then used color pencils to color, and for ease of blending in various levels of the shades I chose. Johnny Depp brought to life, complete with bright orange hair. 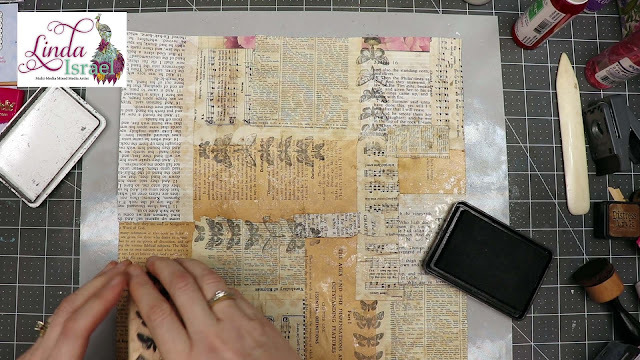 After I completed the image, I began adding torn pieces of an old book page, in random areas on the tag, and applied with gel medium. Once the page pieces had dried, I then used gelato's, along with a couple of stencils, to design the rest of the tag. 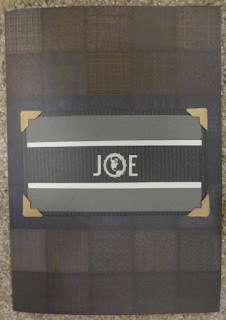 And also used smaller stencil with gelato's on the mini tag. Using paint pens, I randomly added dots & swirls to both the large & mini tag. 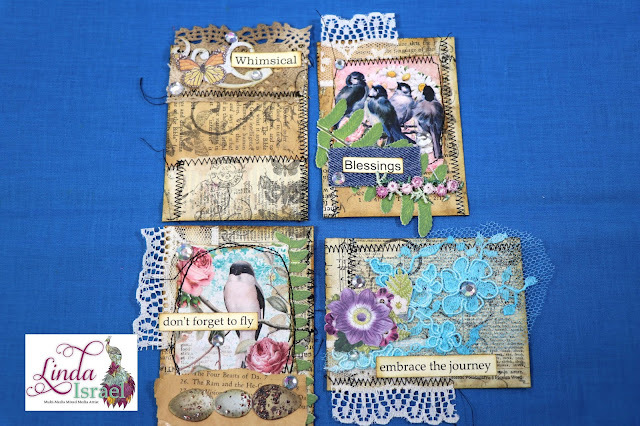 I finished the mini tag with the sticker sentiment "Choose To Dream". 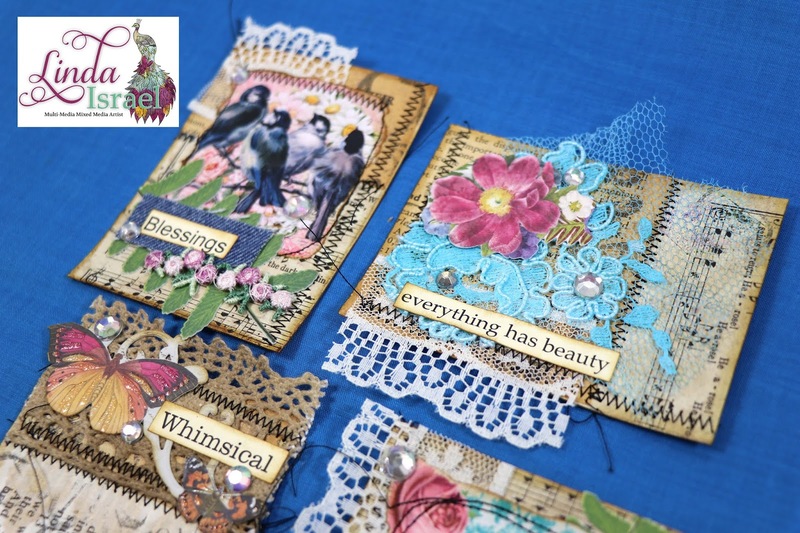 I used a decorative metal flower brad on the top hole of the mini tag instead of ribbon or string. To adhere the mini tag to the large tag, I used adhesive foam squares, secured with a drop or two of ScraPerfect"s Best Glue Ever. Finishing the look, I used sheer purple ribbon, satin black ribbon, and mini charms in a lack & key design. A fun and perky tag to attach to a gift, or add to the front of a card, inspiring the recipient to dream. Thanks for stopping by today, don't forget to visit our designer gallery, to find more projects to inspire you in your creative endeavors. Hello fellow crafter's Penny here today to show you how I made this cute kayaking layout. There is a funny story attached to this layout. I thought this was a photo of my grandson, so I had this photo blown up to a 5 x 7 size. It was only then that I realized that the photo was actually a photo of my daughter's friend's son Colin. No problem however it was a good photo of him and I already paid for it so this layout will be given to his mom. The supplies for this layout included some pattern paper that had a wave pattern so I fussy cut it out, and glued it in place with The Best Glue Ever from ScraPerfect. This glue is great because you can use just tiny amounts of glue and it will hold just fine. No messy edges or over spill of glue especially if you also add the No clog writing cap to the bottle so you can place the glue perfectly. 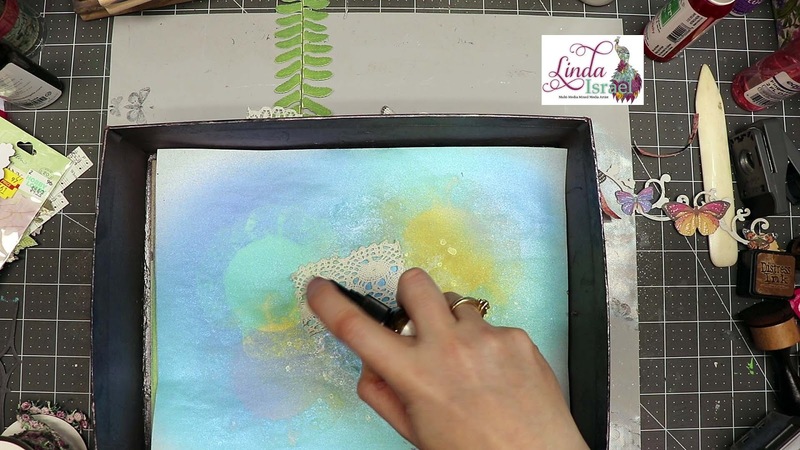 To place those little bling dots in just the right spot I used the Embellie Gellie Tool. 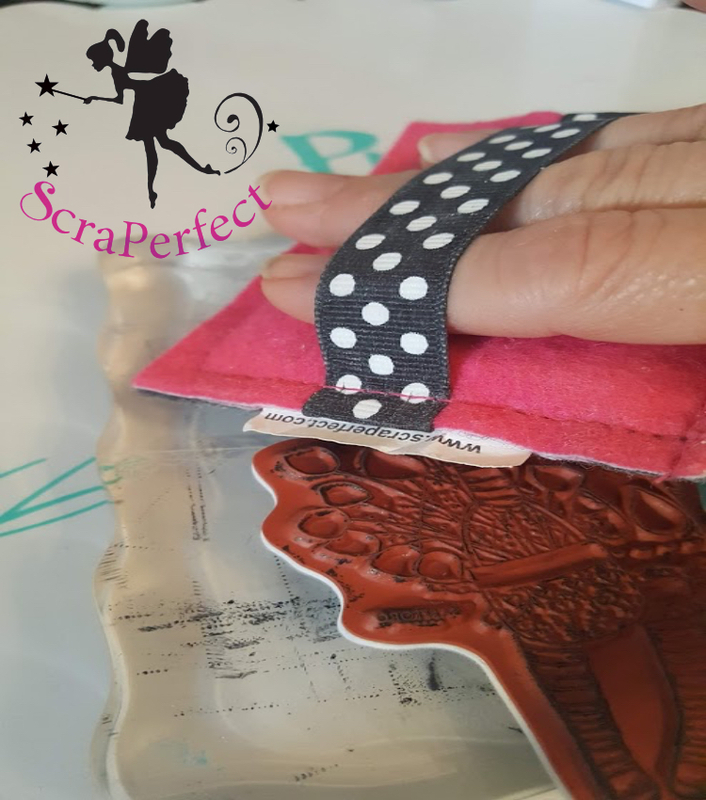 This little tool will let you place beads, sequins, or these bling dots in just the right spot on your layout. 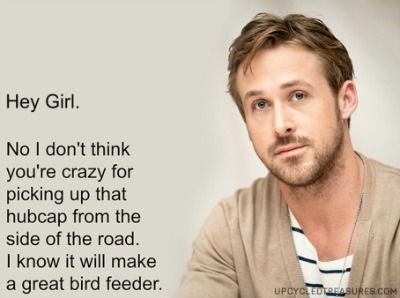 A must have for every craft room, and crafter..
Where Can I Find A Man Like This? Hi all Erin Reed here today. 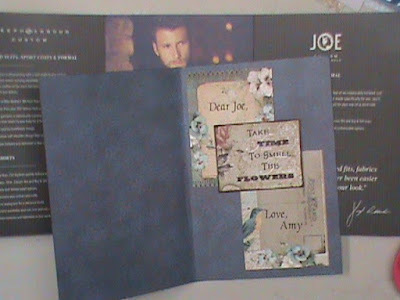 I just love blue cards, so any time i can add a bit of blue to a card, i love it!! 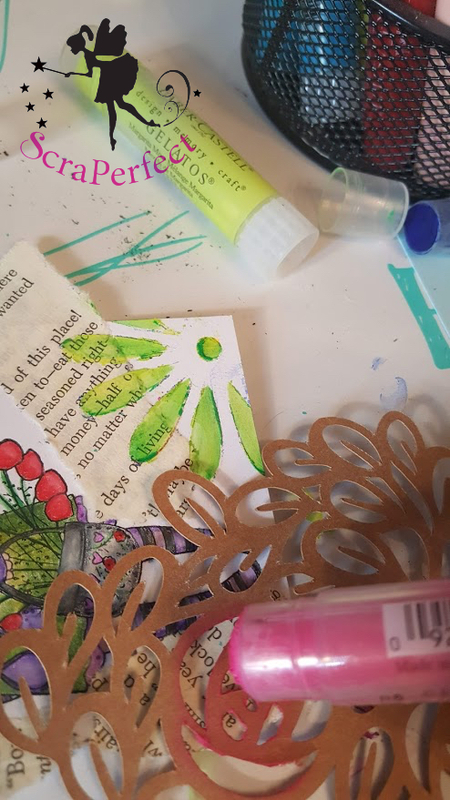 I used the Embellie Gellie to help attach the sequins to the card with the help of the Best Glue Ever with with No Clog Writing Cap since it can give me an extra bead of glue perfect for sequins. The gellie make it super easy to attach the tiny little embellishments exactly to the spot i wanted to add it to with out being a huge mess. Check out the video for more details on this card. Hello everyone, Linda here to share a tutorial, Collaged Journal Cards Made Easy with ScraPerfect. Video Tutorial showing the Collaged Journal Cards Made Easy with ScraPerfect. Using old book pages and a piece of scrapbook paper adhere the pages to make a new page. 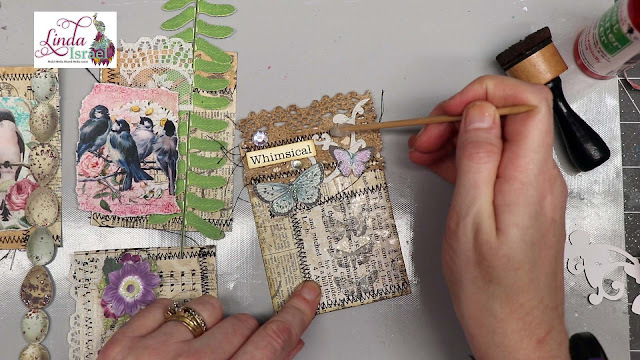 Apply color through stencils with Tattered Angels Glimmer Mist. 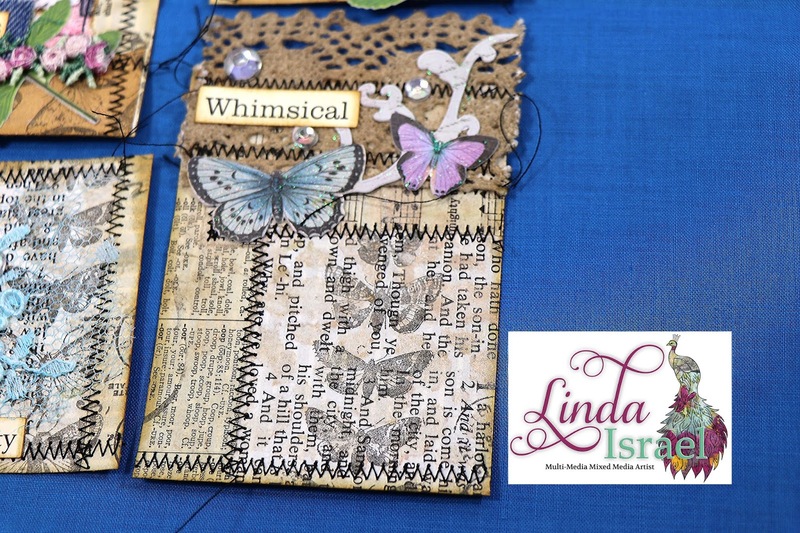 Stamp all over the page to add more interest and texture. After stamping add stitching where the papers join to add more interest. 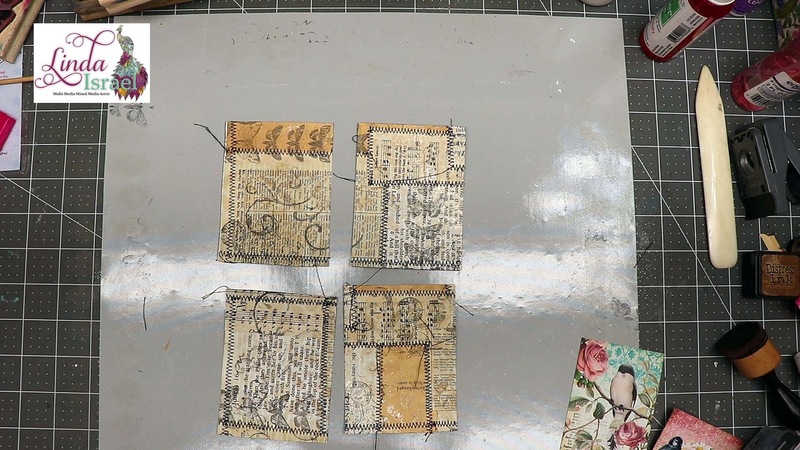 Cut the master sheet into smaller 3 x 4 inch cards, these will become the foundation for our collages. Color lace to match the project using sprays. 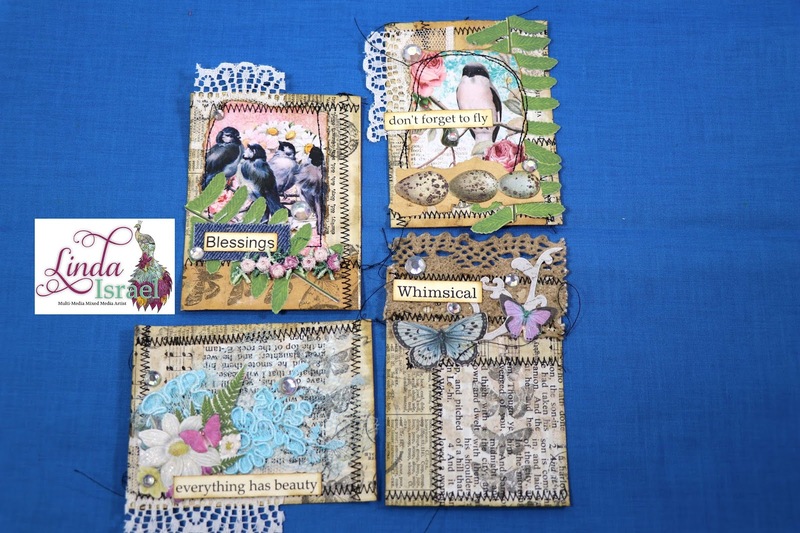 Collage on the cards. Attaching items with the Best Glue Ever and No-Clog Writing Cap. With this writing cap you can get perfect placement of the glue where needed. 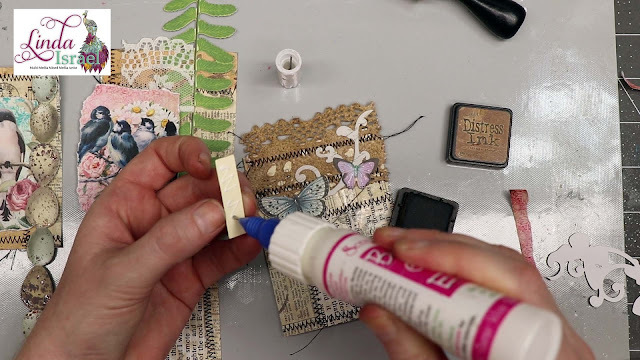 Embellie Gellie helps to pick up those tiny rhinestones and place them on the journal card. Thanks so much for stopping by the blog today to see the Collaged Journal Cards Made Easy with ScraPerfect. 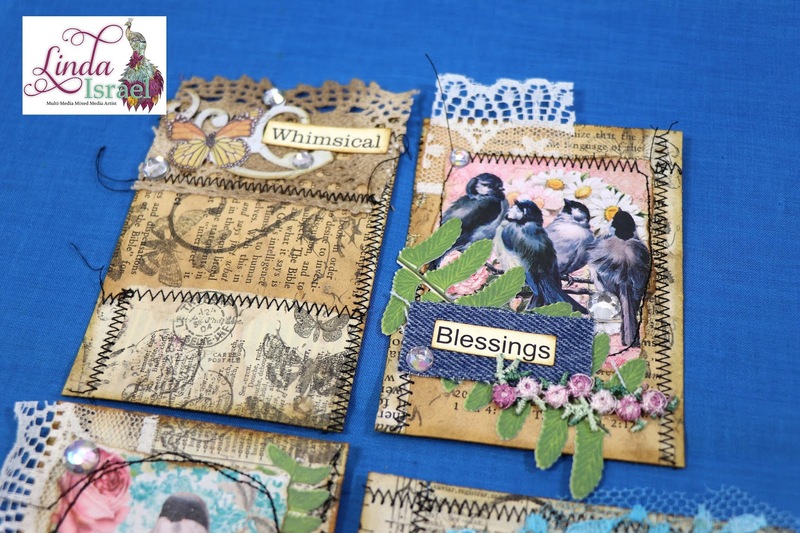 What kind of collaged journal cards will you make? Like what I create? Follow me on Facebook to see other projects like this one. How to Make an Easy Little Girl's Scrapbook Page.